Author: Fry. Herbert, Engraver: Sulman. T, / Ruffle. 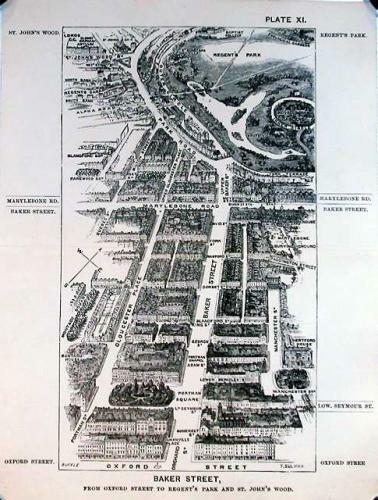 G W.
A panoramic bird's eye view of Baker Street from Oxford Street to Regent's Park and the Royal Botanic Gardens. The buildings have been engraved in extraordinary detail. Scarce. Folds as given. Professionally cleaned and de-acidified.